Queenstown isn't short of opportunities to get you up among the clouds. And if you had to pick just one place from which to get a bird's-eye-view surely this is it – soaring snow-capped mountains, glittering lakes, dramatic canyons and ice-blue braided rivers weaving intricate patterns across the landscape. The enterprising Queenstown folk have devised a variety of ways to get you looking down. Some simply place emphasis on unrivalled scenery immersion, sometimes with added extras. Scenic flights and ballooning, for example, may well see you picnicking on a mountain top or enjoying a champagne breakfast. At the opposite end of the scale are those companies whose sole intention is to get your heart racing as you're launched from a cloud-piercing pinnacle for a paraglide or even chucked from a plane for a terminal velocity tandem skydive. Whatever your intention, as long as it involves getting airborne, Queenstown can deliver in spades. 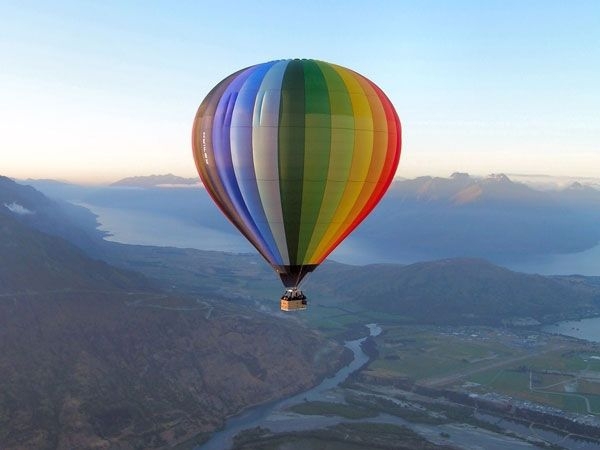 For the ultimate in serene and scenic then a hushed dawn glide over the Queenstown countryside in a hot-air balloon is just the thing. The family run Sunrise Balloons can make that particular dream a reality, gently floating you over the majestic Remarkables and LOTR sites as the world wakes up beneath you. Once you've landed back on solid ground you're treated to a champagne breakfast to celebrate the moment. What's the difference? Hang gliding involves holding a bar as you fly stretched out belly-down while paragliding is flying in a seated postion under a parachute. In case you can't quite make up your mind which to go for Coronet Peak Tandems offers a combo which lets you try both. 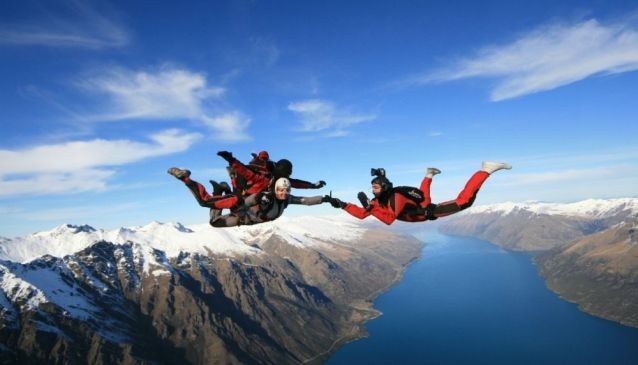 As heart-thumping or as tranquil as you like but whichever experience you plump for certain things are standard - the launch from Queenstown's highest commercial take-off point and the incredible lake and mountain scenery below. Coronet Peak Tandems is both owned and operated by four times NZ champion Angus Tapper with 27 years experience under his belt to boot. Your paraglide/hang glide will see you descending from anywhere between 3800 to 5400 feet and includes free in-flight photos of your bird-like moments to make a been-there-done-that post on Facebook. As with everything dished up on the Queenstown adventure menu things start simple and work up through various ways to enjoy your chosen activity – so it is with helicopter flights. Ranging from affordable trips for those on tighter budgets right on through to the tailor-made and truly indulgent end of the market, your engine power also means you can venture further afield with trips to Fiordland and Milford Sound for example. 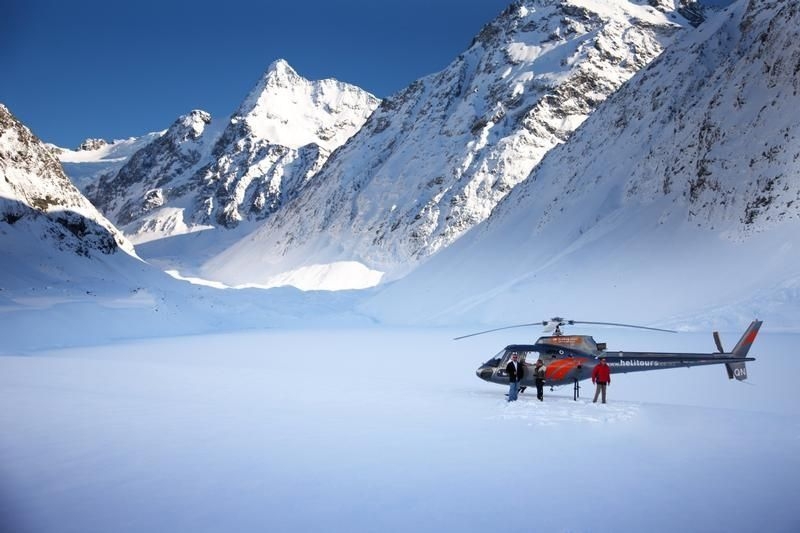 If you're looking for a bargain then Glacier Southern Lakes Helicopters do some daily specials and also serve up some tasty combo treats such as a scenic helicopter flight with glacier and snow landings or a flight combined with mountain biking, skiing or snowboarding. If Milford Sound also happens to be on your must-do list a flight and cruise combo is up for grabs. Heli Tours are the only locally-owned private helicopter company around, offering a really diverse choice of tours to whisk you off for anything from an hour to 2 days. Doubtful Sound, Milford Sound and Mount Cook/Aoraki are all possible and, for something which makes you feel like a true explorer, there are even options for such things as a heli-surf tour to inaccessible surf breaks. If you decide sedate is the way to go you can take a heli-wine flight with a lunch and wine landing on the mountain. Or how about a scenic journey with an overnight stay at a luxury homestead where jet-boating, tramping, horse riding and fishing are all yours for the taking? People come to Queenstown to be propelled/catapulted/swung/rolled/dropped and otherwise terrified - usually from a great height. 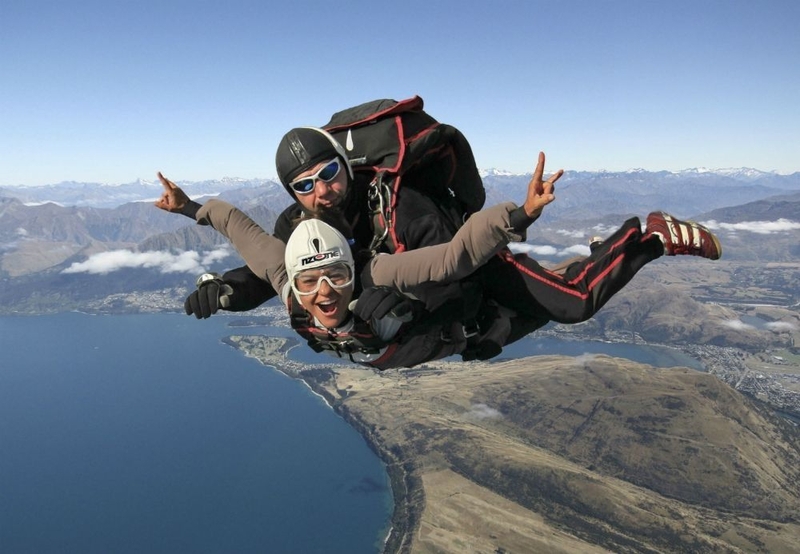 If that sounds like the sort of thing which floats your boat then a tandem skydive is a bucket-list essential. Skydiving is as fast as you can go without an engine – terminal velocity 200 kph/120 mph for up to 60 seconds from heights of between 9,000 and 15,000 feet. If you manage to open your eyes you are going to see mountains, lakes, rivers and an otherwise perfect backdrop during your race to Earth. NZONE were the first to offer New Zealand visitors a chance to throw themselves out of an aeroplane strapped to an instructor and 23 years later they are still doing it. A range of video and photo packages are available for those who don't mind visual evidence of their moments of gut-wrenching terror! 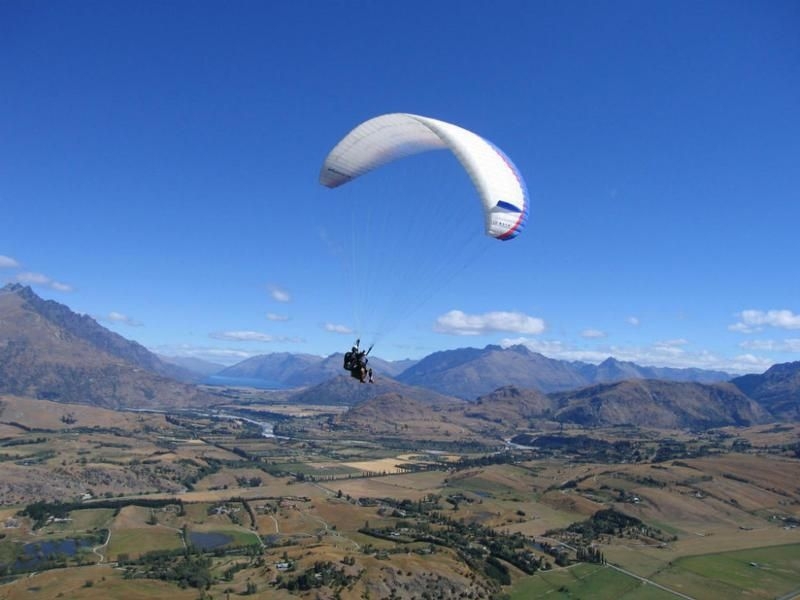 Whether you decide to go for sedate soaring or an adrenalin-pumping joyride, the scenery of the Queenstown area viewed from above is just about as good as it gets anywhere on the planet. Get ready to have lots of fun; to have your breath taken away – both literally and figuratively – and leave with more than a few treasured memories stored for those future rainy days when you'll want to remember what you've seen. No chance you'll forget anyway - you'll have plenty of photos as mementoes.